On every visit your Merry Maids team will dust, wash, sanitise and vacuum your home, using our own equipment and specially formulated products. Dusting – ornaments, electrical goods, furniture, skirting boards. Vacuuming – carpets and soft furnishings. Emptying waste baskets and ashtrays. Bathrooms – suites, tiles mirrors and deodorising. Kitchens – surfaces, cupboards (exterior), white goods (exterior). We’ll work around you and your home’s needs. Whether you want us to visit weekly, fortnightly, every three weeks or 4-weekly…we’ll work around what you want. Cleaning inside and / or defrosting fridges and freezers. That extra special deep clean / spring clean is ideal when you are moving in or out of a property, preparing your home to sell, have the in-laws visiting, after building or renovating works or just need a complete freshen up in advance of a family get together. Within each house we operate a strict cleaning process using coloured cloths for different areas, to avoid cross contamination and arrive with a fresh set of materials for each house. 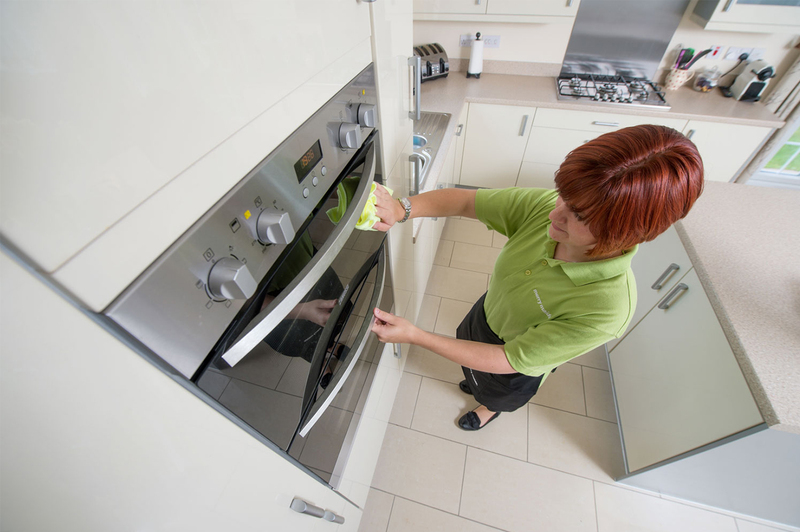 All our maids are trained in Health and Safety regulations and procedures for the correct use of products and equipment. These lists are not exhaustive and if you have any other domestic cleaning requirements then your local Merry Maids office will be only too happy to help. For a straightforward guide to choosing the best local cleaning services for your home click here – Domestic Cleaning Service Buyers Guide. For your carpet and upholstery cleaning, furniture repairs and restoration or lawn care we will be happy to introduce you to our partner companies in the ServiceMaster Family of Brands.